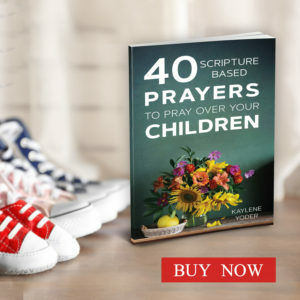 You know it, he knows it, your kids know it, your friends and family know it…. But, sometimes in the day to day ruts of routine, you just take it for granted that everybody knows. I mean, you’re still here with him! So, that should be proof enough that you love him, honor him, respect him….all the good wife stuff, right? He needs to hear you say it. A man likes that kind of thing. He won’t ask for it. He might not even know he craves your approval. And, one thing he does know is that when you speak encouragement to him, life seems a bit more do-able. Things look a little bit easier. He likes that feeling; that feeling of acceptance. You should be the one making him feel that way. So, pick one of the following phrases, and drop it on him just because he’s your man. Pick one! Say it! Mean it! Do it again! #1. It will be OK. This tells him you share the load of whatever life has brought. That pile of bills. That unexpected vehicle expense. 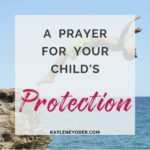 That medical emergency or health issue…whatever it is, it will be OK. You’re there for him. If the issue is self inflicted… it’s still OK. He’s probably embarrassed enough at his mistake. He doesn’t need you to take a jab at him. This will tell him you’re still on his team. You’ll get through this together, and be stronger because of it. #2. Thank you for your hard work. You like being appreciated. So does he. Part of a mans physique is to provide and protect. Carrying this burden then adding an unappreciative wife is like pouring salt on a wound. Thank him for his efforts and watch his morale be boosted enough to last a whole week or more. He might even be moved to finish that landscaping project he started a year ago! This verse made me smile a few days ago. 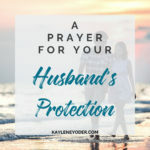 Make it easy for him to enjoy his “lot” of loving you, providing for you and protecting you by letting him hear that you approve of his efforts. #3. Thank you for loving me. Let’s get it straight…you’re not always the cuddliest cactus to love on. This tells him that you think he’s something special to still find you lovable. It also tells him he’s doing it right. He likes knowing he makes your heart happy. #4. I’m proud of you. Well….aren’t you? If not, you should be. He longs to know you approve of him- that you accept his flaws with his perfections. While the rest of the world will pounce on his first wrong move or tear him up about past mistakes, with you, he is approved of and appreciated. His heart can safely trust in you. A man finds much peace and rest in that knowledge. So go tell him you’re proud of him, just the way he is. Which one are you going to speak to your husband today? 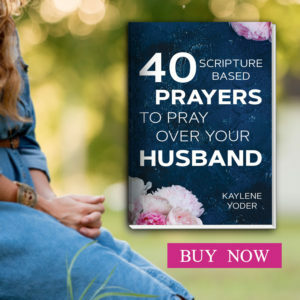 Or, share what you tell your husband to encourage him. Success! Your spot has been reserved. 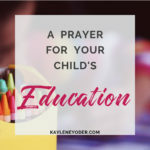 Please check your email in 5-10 minutes for your first prayer! 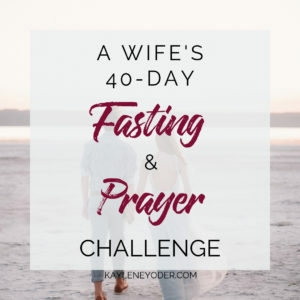 This entry was posted in Christian Women, Marriage and tagged Christian marriage, Christian wife, communication, husband, marriage, wife. Amen to this! 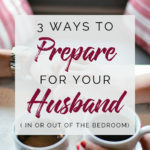 Our husbands are our heroes and we need to let them know that! 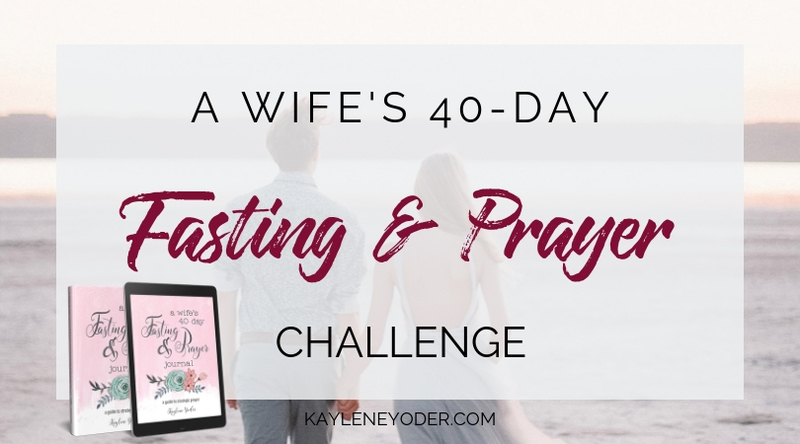 I find your words on marriage so encouraging! 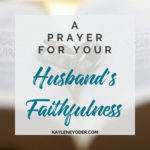 It is easy to get caught up in the day to day and forget to be purposeful in encouraging our husbands. <br /><br />Thank you for linking-up with Beauty Observed! It is so nice to have you participate. 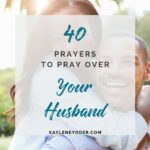 My husband likes it when I complement him on his clothes or after he gets a hair cut.<br />Telling him he looks handsome in that outfit, or nice hair cut. I found it so interesting at how my husband appreciates a compliment on his appearance. It&#39;s not just us ladies! 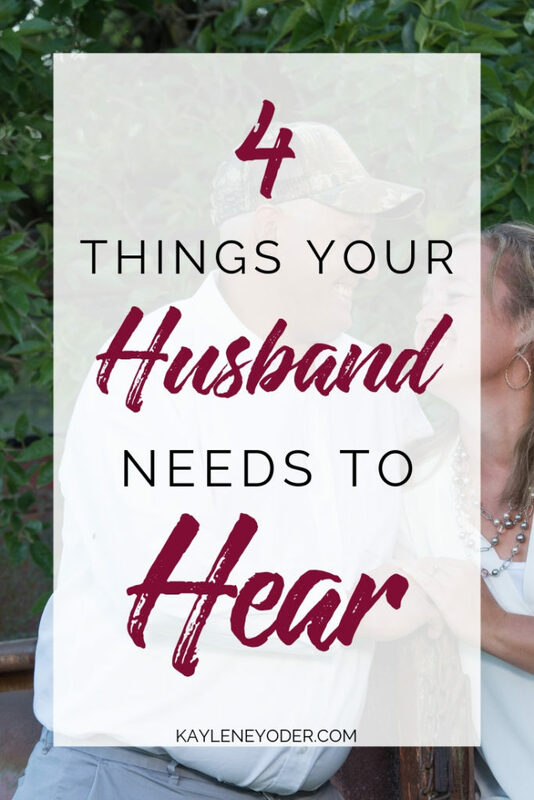 😉 Thank you for sharing what you tell your husband! Blessings! Love it!! 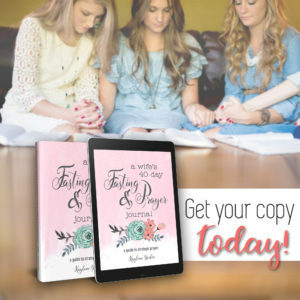 Such a good read and awesome reminder!! Thanks Kaylene! Hi Kaylene! I love this post. It&#39;s full of great reminders. 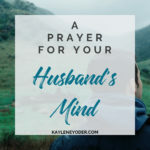 We so easily forget how our husband&#39;s need words of affirmation, and that&#39;s one of my husband&#39;s love languages! 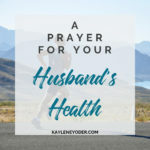 <br /><br />I&#39;m going to thank my husband for loving me (because I&#39;m one spiney cactus) and I&#39;m sharing this on facebook and twitter! Lol Betsy! 🙂 thank you for sharing! Blessings! 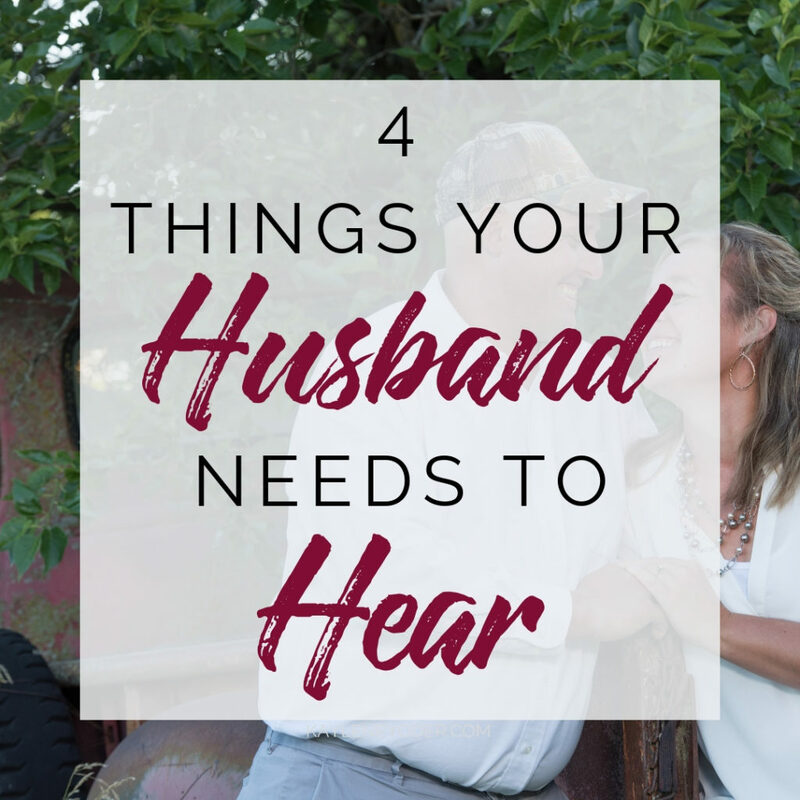 It is so easy to think they don&#39;t care about hearing those things because they (at least my husband) don&#39;t react like we do when receiving compliments. Great reminder! Everybody needs to hear these things in any relationship you&#39;re in. It&#39;s not just husbands. A great message. I try to thank my hubby for doing anything special and compliment him on his contributions. 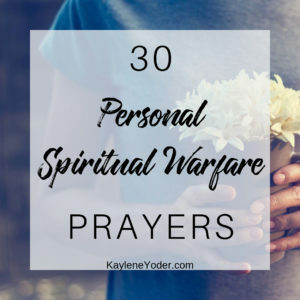 Thank you for this post, and all these reminders. I appreciate you sharing again at Together on Tuesdays 🙂 Great ways to show love to our husbands! I wholeheartedly agree with this post!! 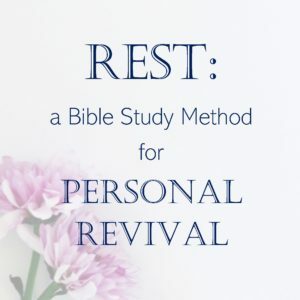 !<br />And thank you for linking up at our weekly Homemaking Successes link up! This was the most popular post! Great encouragement. Since I need a kick-in-the-pants reminder to express gratitude (not that I don&#39;t feel it, I often forget to express it), I have &quot;thank husband&quot; in my todo list. I am wow&#39;ed by the impact of a &quot;thanks for…&quot; in his life. Here from Wedded Wednesday…#’s 3, 5, and 6. One thing I would add is…”I would marry you all over again.” It would be so nice to hear, especially being terminally ill! 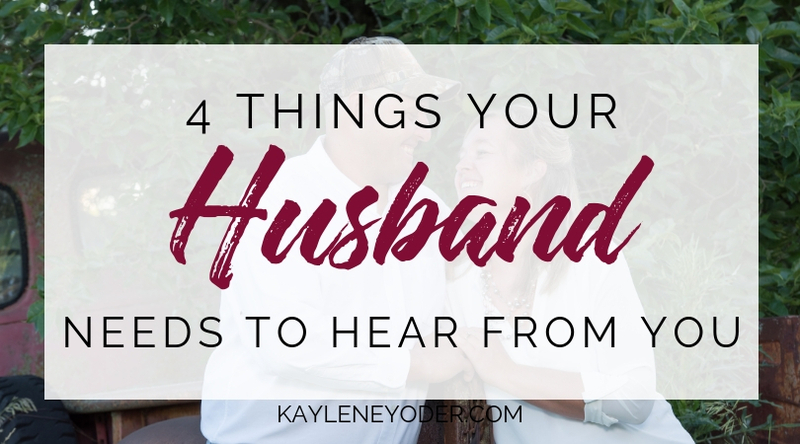 This is a great list to make a habit of speaking our hubbies. Thanks for sharing this and I’m sooooo happy to see you in Arabah’s bbc! Thank you for allowing me to glean from you by being so transparent. This is so helpful… you’re absolutely right… sometimes we forget to say the things that really matter. I will definitely be putting this into practice. Can’t wait to reap the rewards! Very well said, Kaoline! My husband and I have been married for almost 51 years and I can loudly say “Amen” to each item on your list! Thanks for the reminders! Wow! Congratulations on 51 years!! I love this! Texting him now. Thank you for this post. I came upon your blog on Pinterest. It has truly been a blessing to me! 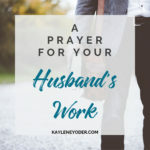 The words we speak over our husbands can make a difference. Thanks again! This is so good. 🙂 thank you for the reminder to let my guy know how much he means to me. This is great.. I found you on pinterest and like your writing. Explain this scenario to me, if your husband does not compliment his wife in a similar manner, how would you deal with it? You see, the way we bless our spouse should not be contingent on what they do or don’t do for us. We are only responsible for our own behavior. 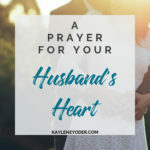 I just told him that it is well.we have been going through a lot of things…a lot do with evil affiliations from my aunty…but he’s a very supportive hubby…that’s why I am praying for him. Wish i could get this encouragement from my wife. She does work and pay some bills. I also work pay bills and currently building our home with my own hands after i just purchased our property. But its very discouraging when she doesn’t show any appreciation or encouragement. Its hard because i love her and doing this for our family and kids. I’m so sorry you feel unappreciated. May God give you the strength, courage, and dedication needed for you to set an example of love and servant leadership for your family. Lead like Christ. His ways are always higher. Keep yourself pure in heart before Him. May He become your greatest encourager through every life issue.